Hi everyone and welcome to our new weekly series! In Apps Optimized, we'll take a closer look at some of the most popular apps on mobile and share our knowledge with you. Whether you're a casual user or a smartphone adept, we're confident that the information provided here will help you use your device in a more efficient manner. We're kicking things off with the most universally used internet browser of today - Google Chrome. According to data from February of 2018, a whopping 62% of users across both Android and iOS are relying on Google Chrome. The browser has a bevy of features that aim to make your experience better, but some of them are hidden behind a secret menu or are simply not that well-known. Let's see what we can do to help you browse better! Please note! Some of the tips and tricks shown here are features that are a part of Chrome's experimental chrome://flags menu. They are functional at the time of writing, but might glitch and could be removed or altered by Google in the future. If you're experiencing a malfunction, just go back to this article, disable the features mentioned here, and restart your browser. If a feature doesn't show up after a restart, go to Settings > Apps > Chrome and force stop the app, then try again. Open Google Chrome, tap your address bar and type in "chrome://flags" without the inverted commas. This will open up Chrome's super-secret hidden menu that can potentially break a lot of things. Just don't change any setting you're not familiar with. Now, you should see a "search flags" tool at the top of your screen. Search for the term "Chrome Duet" and enable it. Restart your browser. You should now have a new bar at the bottom with a Home button, search function, and a button that allows you to scroll through your tabs. The three-dot menu at the right end of Chrome Duet can help you open a new tab, your bookmarks, browsing history, and so on. Neat! Did you know that pressing the tabs button isn't the only way to browse the different web pages you've opened? If you have multiple tabs open, you can swipe left or right on your address bar to scroll through them. Alternatively, you can also swipe down on the bar to access the full list of opened tabs. Open Google Chrome, tap your address bar and type in "chrome://flags" without the inverted commas. Tap the "search flags" tool at the top of your screen. Search for the term "Photopicker" and enable it. Voilà! 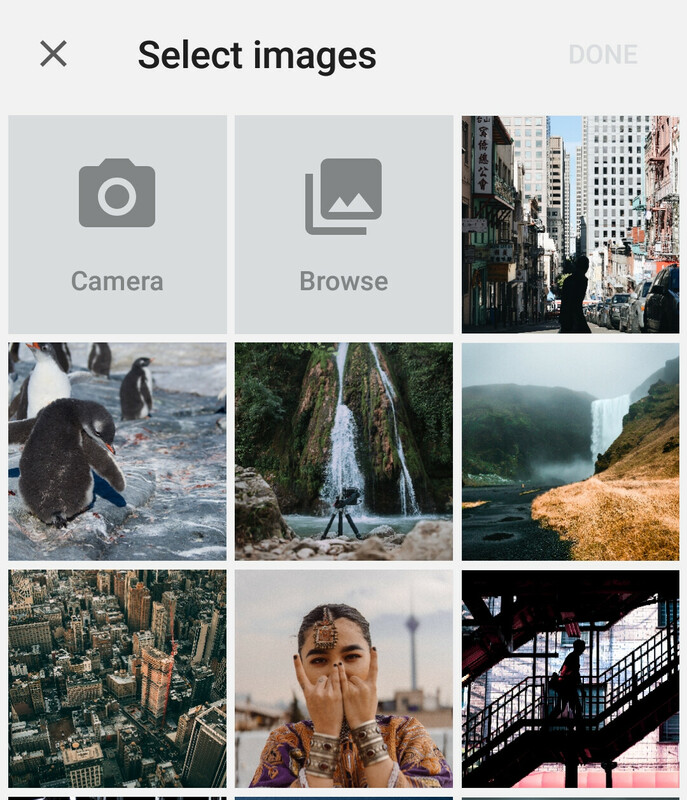 In our opinion, the new square thumbnail layout is much more convenient than the standard list interpretation. This is a simple, yet lesser-known feature on Chrome. A simple tap on a piece of text in the browser will prompt an information panel to appear at the bottom of your screen. If you swipe up on the panel, you will see search results appear for the word or term you've selected. This should be a no-brainer for a lot of you, but you'd be surprised by the number of people we've seen who take a lot of time to do a simple task like copying the current URL in their browser. Nobody is born with a Ph.D. in Chrome navigation, so we feel obliged to share this tip with anyone that needs it. Instead of tapping on the address bar, pressing 'Select All' in the text menu (or selecting the entire thing by moving the little blue arrows left and right), just hold down on the address bar. This will select the entire link automatically, and all you have to do from there on is press Copy. Alternatively, if you see a lock icon to the left of the address, you can also tap on it and hold on the address. This will automatically copy the URL to your clipboard. Tap the "search flags" tool at the top of your screen. Search for the term "parallel downloading" and enable it. You're all set. The effects of this boost will be noticeable when you're downloading a larger file. It won't make much of a difference for a 2MB photo, for example. Tap the "search flags" tool at the top of your screen. Search for the term "enable downloads location change" and enable it. After enabling this flag, you will also see a new option in your Chrome settings. You can force Chrome to ask you where to save the file every time by toggling the switch on. Tap the "search flags" tool at the top of your screen. Search for the term "reader-mode-heuristics" and enable it. This will cause a small notification window to appear at the bottom of your screen when browsing through different websites. If you click on the simplified view, you should see a minimalistic version of the webpage that should load faster with formatting and other things removed. Tapping on the three-dot menu at the top right and then going to Appearance will prompt a useful menu to open. You can select a font of your desire, and switching to dark mode will actually save you some battery if you're browsing for a prolonged period of time on a phone with an OLED screen. Not to mention that dark mode won't burn your retinas if you're looking at your screen in low-light conditions. If you're not explicitly tapping on a video or auido file, your phone shouldn't be emitting any sounds while you're browsing. Sadly, this lovely notion is often violated by websites that find a way to circumvent this and auto-play ads in a very annoying fashion (looking at you, CNN). If you'd like to block certain sites from doing so, simply tap the three-dot menu, head over to Settings > Site settings > Sound. 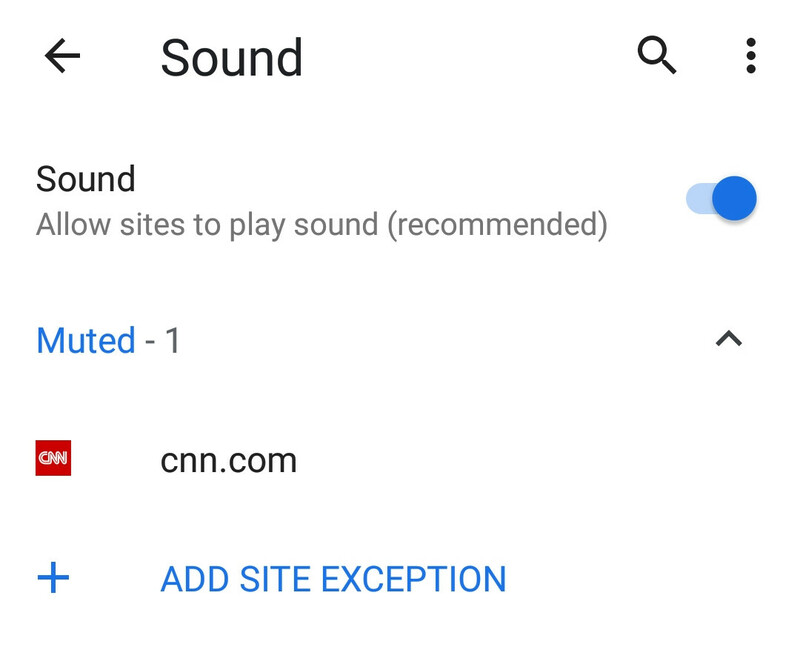 Here you can mute specific sites by pressing "add site exception", or mute sounds on Chrome altogether. There you go, everyone, nine essential tips and tricks for Google Chrome on Android! Do you like the new series? Do you have a super useful tip that we haven't mentioned? Let us know in the comments below! 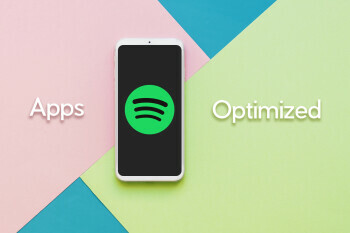 26 January Apps Optimized: Spotify tips & tricks for iOS and Android This week, we're here with Spotify tips for iOS and Android. Read this if you'd like to learn how to import your own music, improve audio quality, learn how to search smarter, and more! 8 January Apps Optimized: Google Maps tips & tricks for Android and iOS This week, we're here with Google Maps tips for iOS and Android. Read this if you'd like to learn how to search access Street View, use the different map modes, share your location, and even find your car! 3 January Apps Optimized: Facebook Messenger tips & tricks for iOS and Android This week, we're here with 9 Facebook Messenger tips for iOS and Android. Read this if you'd like to learn how to search your chat history, send or receive money, switch accounts, remove the pesky chat heads, and much more! 2 January Apps Optimized: YouTube tips & tricks for iOS and Android This week, we're giving you 7 neat YouTube tips for iOS and Android. Read this if you'd like to learn how to play videos in the background, clear and pause your search history, change your region, and more! 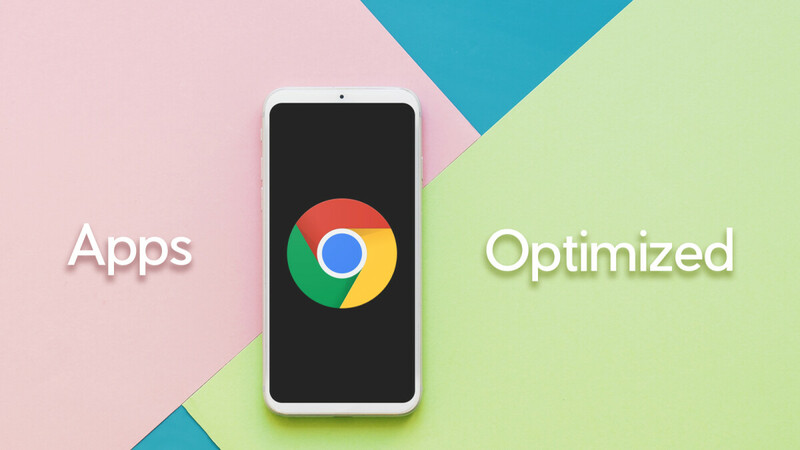 1 January Apps Optimized: Google Chrome tips & tricks for better browsing on Android Our first Apps Optimized article provides 9 essential tips for Google Chrome users on Android. Read this you'd like to download files faster, navigate with one hand, manage how websites are behaving, and other cool things to do while you're browsing! Interesting new segment! I look forward to reading your optimization articles for Windows 10 mobile apps. Damn! This article is what I needed! Thank you for the useful information! Thanks! Have been looking for the night/dark mode in Chrome. I have enabled the reader mode, but haven't seen the option for it. Is it only available in low light condition? Hey piratestation, thanks for spotting that. There's actually an extra step here. Once you're in simplified mode, tap the three-dot menu at the top right and then select "Appearance". I've updated the article with the additional info.